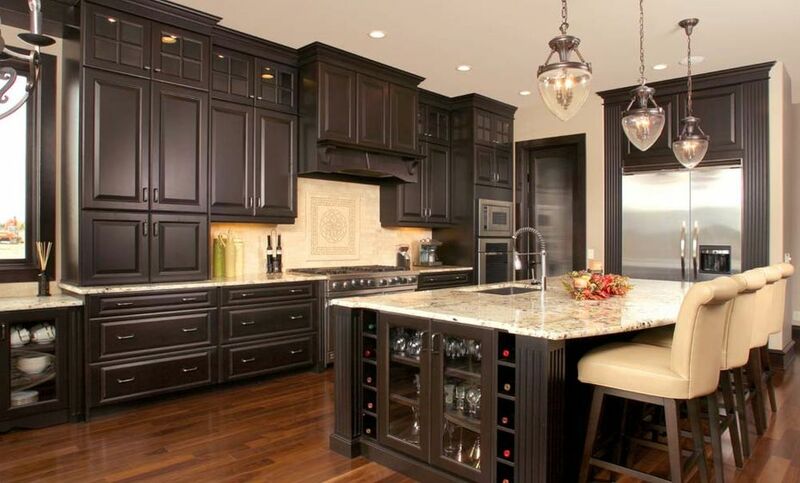 Is it time to update the look of your kitchen? Or are you finding more and more things to fix and it’s just better to have the whole area renovated? With all the home renovation information out there, you might lean towards doing it yourself. Before anything else (yes, even before you start looking for a pretty design), you have to determine how you want to use your kitchen. Having this in place will give you an idea of what the best layout is and what features can and should be included. Consider how many people will be using the kitchen. Do you need more space or can you work with the existing layout? Set clear goals for your kitchen renovation and communicate this with other people involved in the project. Once you’ve listed all these down, start creating an inspiration board with photos of kitchens with features that suit your needs. Printing photos out is a lot of work so we like using digital inspiration boards like Pinterest. All you need to do is create a board for your kitchen project and start pinning your ideas there. Are you ready to give your kitchen renovation project the green light? Now is the time to create the scope of work and figure out your preliminary budget. Note that these two things are subject to change so don’t think that whatever you come up with first will stay the same. The scope of work and budget will change many times during the design process as you become more informed about your options and reconcile what you want with what you can afford. Expect to make multiple trips to appliances stores, flooring suppliers, paint suppliers, lumber stores etc. to price out your options. Before you head off to do your selections though, you need to do your measurements. Ensure that you’ve worked out how much material you’ll need (commonly called a material take off), before you go to visit your suppliers. How much flooring you’ll need for your project (for example) will largely dictate your budget. Even if you’re taking the do-it-yourself route for your kitchen renovation project, you’ll probably still need professional help at some point, especially when it comes to the plumbing and electrical. Plumbing and electrical are very specialized trades and you must ensure that the contractors you select are certified, have proper insurance and are pulling the correct permits for your project (yes there’s more than one you’ll need!). It is critical to have your plumbing and your electrical done correctly as they are the two parts of your renovation that can cause the most serious issues with your home. Because they’re underneath all of the beautiful interior finishes you just installed, you aren’t always able to see when an issue first arises. We highly recommend at the very least seeking the advice of a plumbing and electrical professional before attempting yourself. Sometimes selecting certain products can take time, especially if they’re a special order item. It’s important to make your selections and do your ordering well in advance of your construction start date. At C. Brannon, we typically recommend ordering your material 4-6 weeks ahead of time. It’s also important to remember that special order items typically can’t be returned, so choose wisely! At this point, you’ll need to a preliminary floor plans with elevations in order to get your building permit. Remember, you need to include your electrical and plumbing outlines with this drawing too. You must follow building code and ensure that you follow the permitting office’s guidelines. They can be quite strict so you’ll want to ensure you get this part right! The city of Calgary’s website is a wealth of information for pulling permits – just be sure that you select the right one! Now the real work begins! If you’re renovating an old space, you’ll have to start with your demolition (removing the old tile, carpet…or whatever was in the space before). Next, you’ll need to address any hidden issue areas that can arise (sometimes inside a washroom there can be leakage you couldn’t see from the surface). If all looks ok, you’ll then proceed with the install of your material (the order will largely depend on the type of project and the material you’re working with). There will be a few times throughout your build process that you’ll need the city to come and inspect your work (and sign off of course). The first will be at the framing stage (if you’re building any new walls), the second will be after rough-ins are completed (this will include plumbing, electrical and mechanical depending on the scope of work) and the third will be after everything is complete (again this will include plumbing, electrical and mechanical depending on the scope of work). If at any point the city deems the work not up to code, you’ll be required to change (at your own cost) what didn’t meet their standards. So, as you can see, there’s just a few steps that go into doing your own renovation! You are, working on the largest investment most people make in their entire lifetime (their home), so you want to be 100% comfortable before starting any project. There are both legalities and costs to worry about to ensure that you project not only runs smoothly, but is safe. At C.Brannon Construction, we take pride in a job well done, and we ensure that all of the above steps are taken for our clients, so you don’t have to worry. We offer complementary in-home consultations and we’d love to take a look at your project! Give us a call today to book your consultation: 403 771 8080.